about us – Ruian Mingde Machinery Co., Ltd.
Ruian Mingde Machinery Co.,ltd. Established in 2010. Located at Ruian, Wenzhou,China. Have more than 50 workers ,including technical engineer 3, Research and development engineer 2, international sales department 6, after sales service worker 6 . We have a whole group to make ,sell and service machines. We have whole line of plastic machinery to make plastic bags. Especially, We have Computer control Lathe two sets to make the film blowing machine die head. We have own export and import license, one year we can sell 600-800sets machines.we have exported more than 50 different countries, such as : Ukraine , Russia , Georgia, Serbia,Armenia,Spain,Croatia,Iran, Iraq, Qatar, Saudi Arabia, Mexico, Argentina, Venezuela, Haiti, Columbia, Nigeria, Tunisia, Egypt,Ethiopia, Israel , Jordan,Ghana, Thailand, Malaysia, Vietnam,Indonesia, Bangladesh,India, Sri lanka, South Korea . And so on . For customer’s trust, We have sole agency in following countries: Ukraine, Russia, Iran, Argentina , Egypt, South korea, Ethiopia . Known in the world, Reliable by the customer is Mingde Company’s work focus. 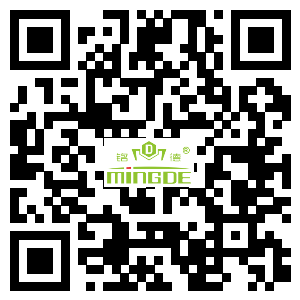 Mingde Machinery are willing the cooperation with you making brilliant future.